More than 20 years ago I was intrigued to discover that the renowned physicist Wolfgang Pauli and the great psychologist Carl Jung had co-authored a book entitled The Interpretation of Nature and the Psyche (published by Bollingen, 1955). I tracked it down and read it with growing fascination. It is actually made up of two articles. Jung’s is on synchronicity and was about what I expected. But Pauli’s was an eye-opener. Its title stopped me in my tracks: ‘The influence of archetypal ideas on the scientific theories of Kepler’. Johannes Kepler was a German mathematician, astronomer and astrologer, and key figure in the 17th-century scientific revolution. Pauli’s is an authoritative and yet passionate exploration of his discoveries, emphasising the roots of his ideas in alchemy, mysticism and religion. It is written with great authority and bears the stamp of Jung’s analytic psychology. There was more, because Pauli went on to argue that quantum theory – despite its grandeur, and in the faces of his distinguished colleagues – was not a complete theory: it lacked the power to explain biological and mental processes, such as consciousness. Here was a totally different person from the one exhibited in Pauli’s many scientific articles. As a physicist, I knew about Pauli and his contributions to science, and of course was well aware of Jung. But the two together – the rational Pauli and the iconoclastic Jung? Who was the real Pauli, and how was he influenced by Jung? My 2009 book, Deciphering the Cosmic Number (to appear in paperback as 137) is the story of two mavericks – Pauli, the scientist who dabbled in the occult, and Jung, the psychologist who was sure that science held answers to some of the questions that tormented him. Both made enormous and lasting contributions to their fields. But in their many conversations they went much further, exploring the middle ground between their two fields and striking sparks off each other. In 1931 Wolfgang Pauli was at the height of his scientific career. He had discovered the exclusion principle – known to this day as the Pauli Exclusion Principle – which explains why the structure of matter is as it is and why certain stars die as they do. Just a year earlier, he had made the audacious suggestion that there might be an as yet undiscovered particle – an outrageous suggestion in those days. Besides the electron, proton and light quantum, which everyone took for granted, he insisted that there had to be another particle, which became known as the neutrino. Twenty-six years later Pauli’s neutrino was finally discovered in the laboratory. But while his friends and colleagues competed to win science’s glittering prizes, Pauli was a different kind of character. He seemed almost indifferent to success. His scientific work was not enough to give him satisfaction and his personal life too fell deeper and deeper into chaos as he trawled the bars of Hamburg, sampling the nightlife and chasing after women. In 1932 a prize-winning film of Dr Jekyll and Mr Hyde came out, starring Frederic March as the tormented doctor. Pauli’s life too seemed to have fractured. He had reached a dangerous low. Pauli was 31. 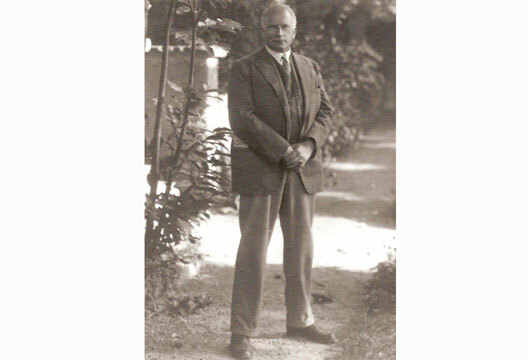 Jung, his senior by 26 years, was firmly established and hugely famous. He was the toast of the wealthy ladies and gentlemen of European and American high society, who came to him hoping to solve their various psychological malaises. Along with Sigmund Freud, Jung had opened up the concept of the mind as something that could be studied, understood, and healed. But the approaches of the two legendary psychoanalysts could not have been more different. Right from the start Jung wanted to shed light on those deep recesses of the unconscious that were beyond Freud’s method, which dealt only with the areas of the unconscious generated by events in one’s daily life. as those that linked Eastern and Western thinking could also link the apparently coldly rational world of science with the supposedly irrational world of intuition and the psyche. One area that brought all these interests together was numbers. Jung was fascinated by the way 3 and 4 popped up again and again in alchemy and also in religion, and in the power of numbers to predict occurrences in life – as codified in the Chinese Book of Changes, the I Ching. But it was not until he met Wolfgang Pauli that all this began to coalesce. Pauli, a kindred spirit, was also infatuated with numbers. It had begun when he was a physics student, when his mentor Arnold Sommerfeld used to extol the wonders of whole numbers with all the fervour of a kabbalist. Among them was 137. It was Sommerfeld who discovered this extraordinary number in 1915, while trying to solve one particular puzzling feature of atoms: the ‘fine structure’ of spectral lines, the characteristic combination of wavelengths of light emitted and absorbed by each chemical element – the fingerprint or DNA, as it were, of each wavelength of light. It was dubbed the ‘fine-structure constant’ (which in fact equals 1/137, though for convenience physicists refer to it as 137). From the moment 137 first popped up in his equations, he and other physicists saw that its importance went far beyond the fact that it solved this one puzzle. They quickly realised that this unique ‘fingerprint’ was the sum of certain fundamental constants of nature, specific quantities believed to be invariable throughout the universe, quantities central to relativity and the quantum theory. Perhaps it was not surprising, then, that physicists began referring to 137 as a ‘mystical number’. To add to the mystery, the sum of the Hebrew letters in the word kabbalah happens to be 137. By the time Sommerfeld stumbled across 137 in 1915, whole numbers were beginning to crop up everywhere in atomic physics. Two years before, the Danish physicist Niels Bohr had worked out that the energy levels of the electrons within atoms could be expressed with whole numbers, so-called quantum numbers. He assumed that only three quantum numbers were necessary to locate an electron in the atom, just as it takes only three numbers to locate an object in space: its coordinates in the three dimensions. But then 10 years later the 24-year-old Pauli showed that in fact a fourth quantum number was needed. The problem was that the fourth quantum number could not be visualised as something we can actually see. For Pauli the problem came down to numbers: to the ‘difficult transition from three to four’. And 137 turned out to be linked with this transition. Jung’s analysis of Pauli’s dreams brought out the connection between Pauli’s scientific discovery – which involved going from three to four quantum numbers, a momentous step in atomic physics – and the extraction from his deep unconscious of his feeling function. This could then join his other three basic functions – thinking, intuition and sensation – in his consciousness, another transition from three to four. In this way Pauli achieved individuation, or a balanced psyche: the goal of Jung’s analytic psychology. Three hundred years earlier, a full-scale row over a very similar issue had broken out between the mystic and scientist Johannes Kepler and the Rosicrucian Robert Fludd. Kepler argued that three was the fundamental number at the core of the universe, using arguments from Christian theology and ancient mysticism. Fludd, however, argued for four on the basis of the Kabbalah, of the four limbs, the four seasons and the four elements (earth, water, air and fire): God’s creation of the world was a transition from two to three to fourness, he asserted. But where did 137 come in? Pauli became convinced that the number was so fundamental that it ought to be deducible from a theory of elementary particles. This quest took over his waking and sleeping life. Driven beyond endurance, he sought the help of Jung. Jung’s theory of psychology offered Pauli a way to understand the deeper meaning of the fourth quantum number and its connection with 137, one that went beyond science into the realm of mysticism, alchemy and archetypes. Jung, for his part, saw in Pauli a treasure trove of archaic memories, as well as a great scientist who could help him put his theories on a firm footing. Pauli told very few colleagues about his discussions with Jung. He feared their derision. Nevertheless, his sessions with Jung convinced him that intuition rather than logical thought held the key to understanding the world around us. Many scientists see Pauli as the epitome of rationality and logical thinking. They assume that a scientist who worked as hard as he did, and achieved as much, must have lived strictly a life of the mind, devoted to physics. This still tends to be the image that both ordinary people and scientists themselves have of scientists. Scientists who have not examined Pauli’s vast correspondence and writings still place him in this straitjacket. But Pauli was alive to the alchemical roots of science. Modern science, he believed, had come to a dead end. Perhaps the means to break through and to develop new insights was to take a radically different approach and return to science’s alchemical roots. Although a 20th-century scientist, Pauli felt an affinity with the 17th century – perfectly natural to anyone who, as he did, accepted that there was, as Jung postulated, a collective unconscious. Pauli and Jung spent many evenings in Jung’s Gothic-like mansion discussing topics that included physics and psychology, and ranged over Jesus Christ, alchemy, mysticism, Far Eastern religions, the I Ching, Yahweh, consciousness and Armageddon. The high level at which they discussed these topics should not be forgotten. Jung’s and Pauli’s was a truly unique meeting of the minds. It was, as Jung wrote, to lead both of them into ‘the no-man’s land between Physics and the Psychology of the Unconscious…the most fascinating yet the darkest hunting ground of our times’.